Many local traditons are born from the seasonal programing of Remick Farm Museum. 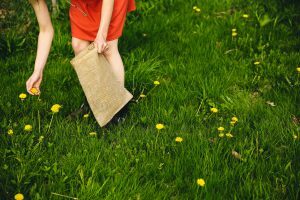 This cultural tie to Tamworth’s past includes a yearly event called Ice Harvest, a time when ice was cut and pulled behind draft horses to an ice shed, to be used for refridgeration into the summer months. 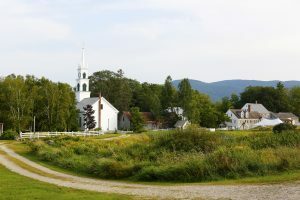 Ice, once a major export of NH, remains a strong connection to Tamworth’s history. 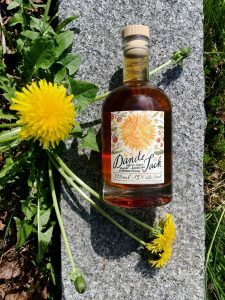 Two other such seasonal Remick offerings are Maple Weekend and Dandelion Festival; forming the ingredient inspiration for AITA Dandejack. 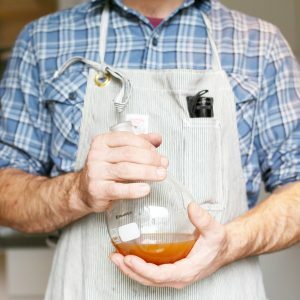 We set to honor the spring alongside our neighbors, with a applejack that utilizes the 100% New Hampshire apples, flavored with the woody bitterness of dandelion root and the sweet and warm Maple Syrup to balance. We use Maple syrup from Remick Farm Museum’s maple weekend (our neighbors from across the street). It is safe to say, this is a classic Tamworth treat. The intent was to showcase how the under-celebrated botanical Dandelion could influence the applejack class. Based around our Maplejack, this recipe adds some more complexity to the mix. Some of the darker barrel notes are thinned with clear apple brandy to open the overall spirit up to fill Dandelion and a little Chicory root to give bitter woody structure. The bitter then hinges on the sweet, giving a deeper appreciation for their roll in the applejack. This duet effect is often exploited by confectioners and candy makers, who use a bit of gentian to candy to prolong the depth of character. 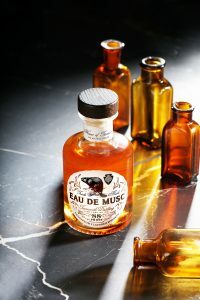 Both aged apple brandy (over a year and a half in a new char oak barrel) as well as the crisp flavor of clear apple eau de vie (a fresh distillate considered the ‘water of life’ or essence of the fruit) are used to balance the bitter roots and sweet syrup. The aroma of rich dark grade syrup and a sugarshack is on the nose, with baked apple following up. Warm mulled cider lay under the first impression. The first sip gives little heat, partially due to the lower proof (35%abv) and partially to the coating nature of the applejack. A grounding sensation from the dandelion root and chicory root give a boldness to the flavored brandy. Chicory root, still used as coffee-like substitute, blends well with the darker clove and caramel components of the barrel aged spirit. The pronounced fruit and floral EDV add more top notes to the experience. Overall, the first sip conjures apple lollipop and caramel apple flavors. Bites of a fresh apple coupled with maple candy. Art in the Age Maplejack: Available now! Maple season is a special time of year in NH. The dormancy of the bitter cold winter weather begins to shake off, and mountain snow-melt swells the watertable. As the state starts to thaw, the circulatory systems of trees kick back into high gear. Cold nights and warmer days are the perfect ebb and flow of Sugar Maple trees. Their activity is even visible by a natural warming effect, often seen first as a radiating melt ring in the surrounding ground snow. Another bit of wood sugar magic that begins to take shape is barrel aging. This is particularly true with apple brandy which was pressed, fermented, distilled and barreled as the Autumn’s cold removes leaves from the area trees. 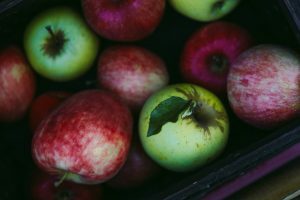 Traditionally, “Applejacking” (an extremely common household practice in colonial New England) was the result of freezing hard cider to concentrate the alcoholic content. 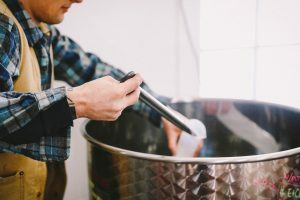 This was also considered “cold-distilling,” even though there was no distillation apparatus necessary besides hard cider, a good study barrel and Mother Nature. At Tamworth Distilling, we just so happen to have a piece of technology to help our process: an alembic still, complete with a ‘brandy helmet.’ This has a traditional brandy shape, modeled after French Cognac stills to historically promote ample fruit flavor and aroma during distillation. 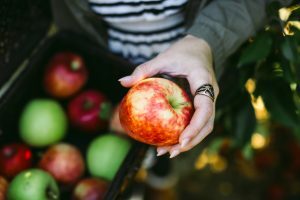 Our iconic still shape helps preserve the source ingredient’s integrity: 100% New Hampshire apples. These two, very local ingredients go together famously: Maple and Apple. We use Maple syrup from the TDM land, stretching along the little Swift River that flows behind our barrelhouse. We also supplement syrup from Remick Farm Museum (our neighbors from across the street). It is safe to say, this is a classic Tamworth treat.